Fantastic staff especially Irene who was helpful and kind, giving us guidance where to go, which made the trip easy. Spectacular view from the balcony and great location to observe the sunset. spacious and clean suit. Highly recommended. Everything! Irene was an excellent host!! Very hospitable. She gave us great options to eat at and recommended the best methods of transportation as well. The whole staff was amazing. I will return! Loved how Vasilis was very attentive to us which really made us feel like VIP guests. All queries and calls were answered promptly and he helped us a lot when we asked him of recommendations of where to eat at around Santorini. He also provided ideas for activities we could do and helped us book our rental car. The room was clean though some furnishings were rusty (maybe due to moisture). The outdoor jacuzzi was great for some relaxation. Overall, we were pleased. The amazing view, the restaurants around the property and the friendly accommodating staff. Wonderful views!! Host was very kind and easy to work with. The service was excellent. Staff was very very helpful and accommodating! Our room had an excellent view! Breathtaking! Service was outstanding! Everything. The room, breakfast and view all awesome for the price. Plus the staff was amazing and very hospitable! Lock in a great price for Dreaming View Suites – rated 8.8 by recent guests! 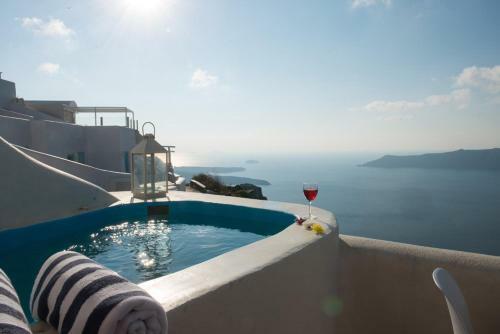 Located in Imerovigli Village, Dreaming View Suites are set right at the edge of the cliff. 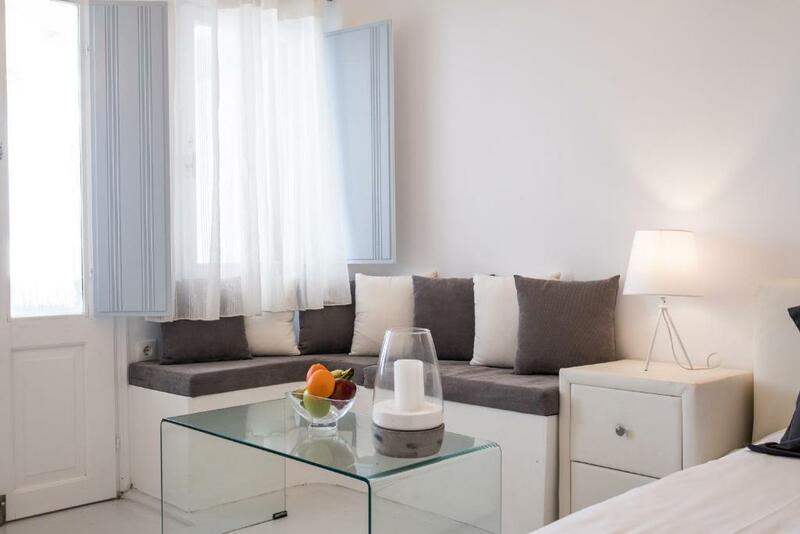 Built in Cycladic style, they offer minimally decorated accommodations with indoor or outdoor hot tub. Free Wi-Fi access is available throughout. The scenic town of Fira is approximately 1.2 mi away, while Santorini Airport is at a distance of 4.7 mi. The port of Athinios is 6.8 mi away. Free public parking is possible at a location nearby. When would you like to stay at Dreaming View Suites? Featuring an indoor hot tub, this air-conditioned and tastefully decorated suite opens to a furnished terrace with caldera views. 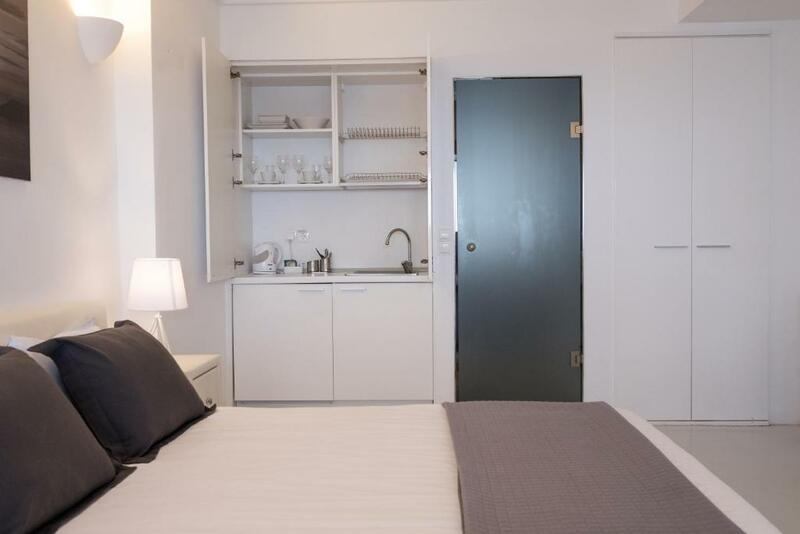 It has a kitchenette with mini fridge. A hairdryer, organic care amenities and slippers are included. Free WiFi and sunbeds are provided. Room service is available upon request. 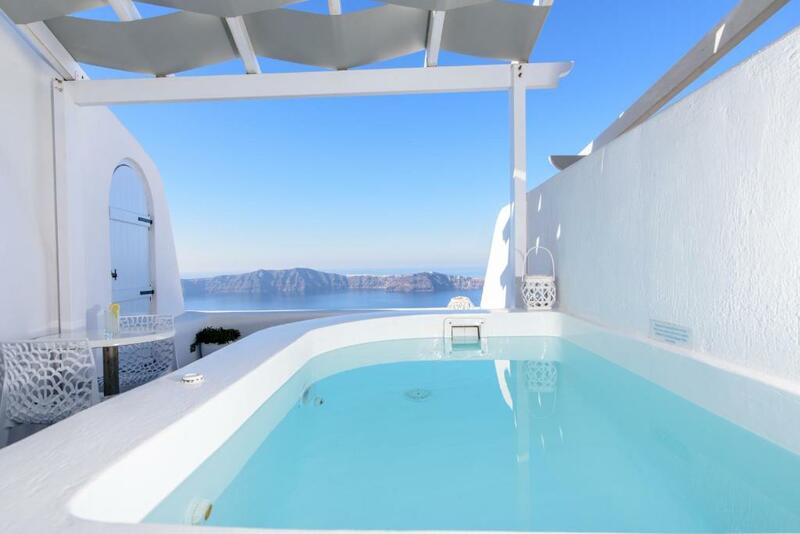 Featuring an outdoor hot tub, this air-conditioned and tastefully decorated suite opens to a balcony with caldera, volcano and Aegean Sea views. It has a seating area with built-in sofa and flat-screen, satellite TV, as well as a kitchenette with mini fridge. A hairdryer, organic care amenities and slippers are included. Free WiFi and sunbeds are provided. Room service is available upon request. Featuring an outdoor hot tub, this air-conditioned and tastefully decorated suite opens to a balcony with caldera views. It has a seating area with a flat-screen, satellite TV. A hairdryer, organic care amenities and slippers are included. This suite has air conditioning, DVD player and balcony. House Rules Dreaming View Suites takes special requests – add in the next step! Dreaming View Suites accepts these cards and reserves the right to temporarily hold an amount prior to arrival. We were very well received by the receptionist ! Our trip was amazing thanks to her, she’s very helpful with good advices. We loved the location, the spectacular view, and all the staff. We loved also the price and the quality. We will come back for sure ! To start the location and the view. But most importantly the recepcionist Irina that went out of her way to solve any issues we had, she was outstanding, a real asset for this small enterprise. Thanks so much for all your help and warm welcome. Excellent View. Good Hot Tub. It was far from Oia though close to Fira but not walking distance. location, view, staff were amazing. Great outdoor tub, good breakfast. Breakfast wasn’t enough for two people Renovations occurring on apartment below, with a green gross pool that wasn’t good for photos Rubbish all on the hill beside room Freezer was leaking ice and made the room smell No privacy Jacuzzi was dirty and very heavy chemical smell coming from the water Television wasn’t working and was not fixed before we left. Mould in the shower. Unfortunately it just wasn’t worth the money we paid. We stayed in our first bedroom for 3 days and found it a bit small. That's because the hot tub was in the room and was enclosed. We then transferred into a bigger and more private suite which was excellent!! Great facilities with a million dollar view! We really liked that the breakfast was served every morning at 9am, brought to our room and was excellent!! Our host Vasilis was very helpful and attended to our every need (he arranged for a transfer shuttle, private tour of Santorini, ATV rental etc...). 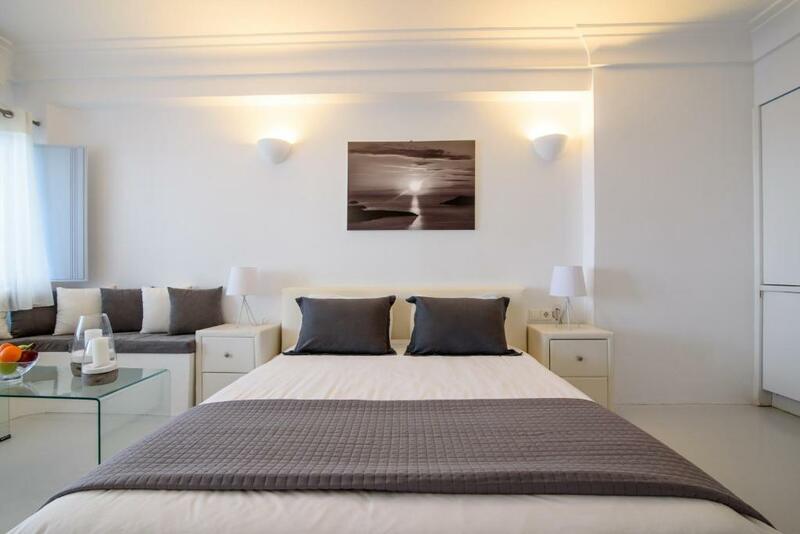 I would recommend Dreaming View as a great place to stay while visiting Santorini. It's situated between Thera and OIA and very central. The rooms should have been cleaned better and our sheets changed over a period of 3 nights. The bed was extremely uncomfortable. Location was good and the Staff were very helpful and gave us good tips on what to see and do in Santorini. Overall Imerovigli is the prettiest part of Santorini but a good 30 minute walk from Fira.